2. Calculator Paper Rolls, 2-3/4"
Designed to fit majority of compact electronic calculators requiring lightweight bond paper rolls including Canon, Casio, Seiko and Sharp machines. 2-1/4"W; 200' L; 2-3/4" diameter. 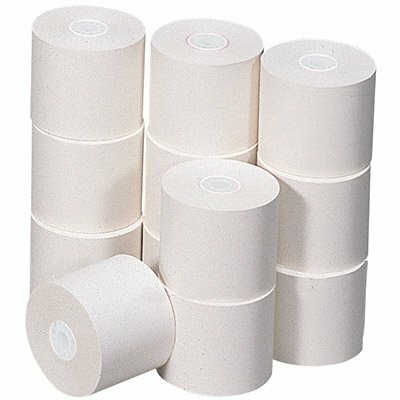 White thermal rolls for use in sales printers and cash registers. 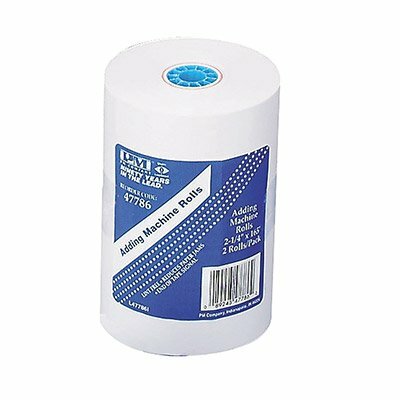 Add roll and ribbon will run out at the same time for quick replacement saving you time. 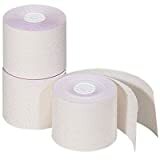 Kit contains; ten add rolls, one cleaning card and one ribbon. One swipe through the cleaning card and dirt will be removed from the card reader mechanism. 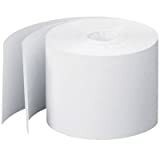 Two-Ply white on white NCR rolls are perfect for use in plain-paper calculators and adding machines when you need a copy of the printout. Quality, lint free machine rolls for use in plain paper calculators and adding machines. Each roll has a red warning signal. Perfect for most popular teller validation and check printers. CEB03183 for Addmaster IJ1000, IJ2000, IJ2040, IJ2050, IF3080, MJ5000. CEB03197 for NCR 2270, 2561, 5000, 5067, 5100, 5267. CEB03177 and CEB03199 for Sharp BE3500. For high speed teletype sending and receiving machines. 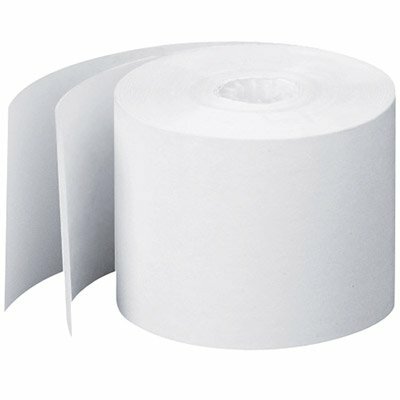 Uniform, lint-free surface and even winding for trouble-free operation. Products for all popular teller validation and check printers, featuring HP ink jet cartridges and other approved media. 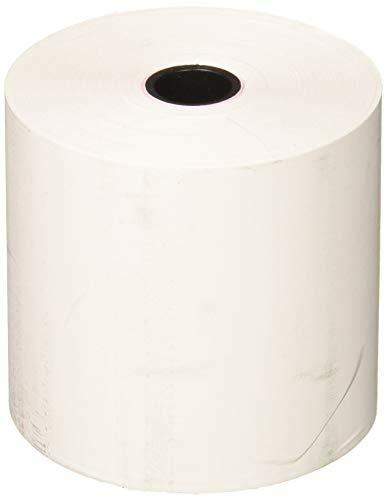 Paper rolls for IBM 4700, 4710, 4712. 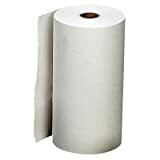 Paper rolls for NCR 2270, 2561, 5000, 5067, 5100, 5267. 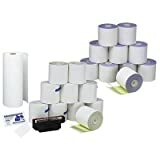 Products for all popular teller validation and check printers, featuring HP InkJet cartridges and other approved media. Paper rolls for Sharp BE3500 machine. Produced under the highest standards of quality for top performance. Careful product testing assures full machine compatibility. Includes easy-to-use machine compatibility chart on each roll for customer convenience. 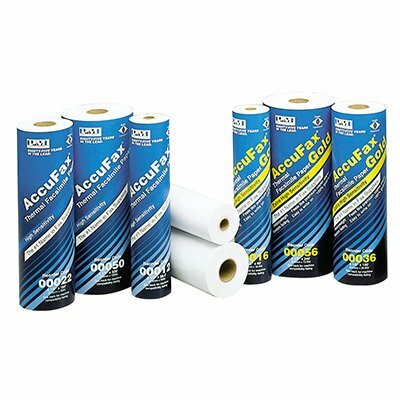 Resistant to smears and smudges, produces sharp, clear images on white original white copy. Compatible with Canon, Casio, Seiko and Sharp machines.